WASHINGTON - A battle between U.S. President Donald Trump and Democrats over federal funding to help secure November’s U.S. elections stymied legislation in Congress on Wednesday, at least for now, that is aimed at thwarting Russian meddling by strengthening states’ voting procedures. The Senate Rules Committee unexpectedly canceled a work session that was intended to advance the Secure Elections Act. That is a bipartisan bill requiring greater coordination between the U.S. Department of Homeland Security and a range of other federal and state election agencies as well as making it easier to audit voting results in the 50 states. The fight pits Democrats and some state officials against the Trump administration and Republicans who oppose additional money flowing from Washington to the states to shore up elections. It comes on the same day that high-ranking administration officials held a closed briefing in the U.S. Capitol for all 100 senators to detail Russian interference in American elections. 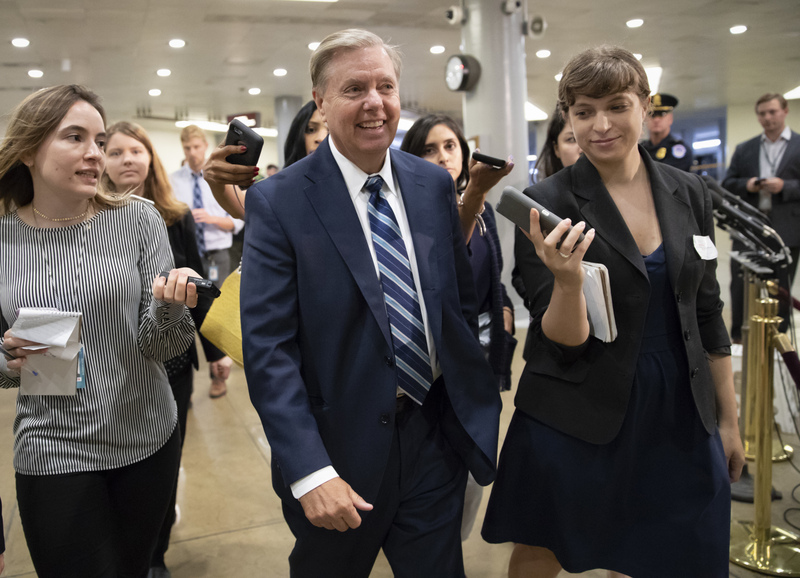 Graham, like many other senators, has been clamoring for Congress to approve tough new Russia sanctions to ward off Moscow’s ongoing Russian cyber activities. He has not supported new federal funding for states, however. 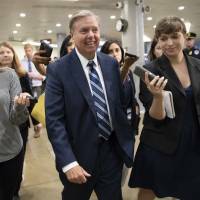 “Russia will quit when they pay a heavy price and clearly we have not done enough yet for them to quit,” Graham said. Also on Wednesday, the Democratic National Committee said it had stopped a cyberattack on an internal website. A Senate aide, who asked not to be identified, said the White House put heavy pressure on Senate Republicans to abruptly cancel Wednesday’s committee work. Democrats were aiming to attach a provision to the Safe Elections Act to authorize $250 million to help states conduct audits required by the legislation. This would be on top of the $380 million Congress earlier approved for election security. But some state officials disagreed. Chris Winters, Vermont’s deputy secretary of state, said his state has concerns that the legislation does not contain funding to carry out some of the provisions being mandated, including state election audits. He also said that as written, the bill is “too prescriptive” in some of its security requirements and could unnecessarily box states in on how they conduct and oversee elections. On Nov. 6, all 435 seats in the U.S. House of Representatives and one-third of the U.S. Senate seats are up for grabs. Meanwhile, several state attorneys general have complained to Washington that federal grants being funneled through the U.S. Election Assistance Commission were insufficient to provide for the upgraded technology needed. But Senate Majority Leader Mitch McConnell, who has the power to move legislation through the Senate, refused comment when asked about the committee delay. McConnell aides also would not comment on whether he joined the White House in blocking committee action or whether he would support the $250 million in added funding being proposed by Democrats.